Who could have ever imagined a cloud inside of a store? Or a subway station clean as a whistle? Prive Revaux--a brand that makes affordable designer sunglasses--is the brilliant mastermind behind these innovations. But before I get to that, let’s discuss what they’re most famous for creating: sunglasses. Prive Revaux’s sunglasses are handcrafted with the goal that all people have access to an affordable, yet high-quality accessory. Weighing in at $29.95 per pair, the sunglasses are made out of 100% scratch-resistant stainless steel, have an anti-glare coating, and full UV protection. They also have PVC nose pads made out of silicone to keep your glasses resting properly and comfortably at all times. Their new pop-up shop in Times Square (open through March) not only includes over 100 handcrafted and polarized frames up for sale, but is adorned with killer backgrounds that will rack up major Instagram likes. In addition to the trendy model of a subway station and cotton cloud placed in front of a sky blue background, there's galaxy wallpaper with planetary rocks and plants; a vibrant graffiti wall with a ladder and paint buckets to set the scene; and a replica of a living room with two chairs in a regal, gold hue. Not sure you want to give up your fave sunglasses and try new ones on at Prive Revaux? Well, Hailee Steinfeld, Ashley Benson, Fergie, and Jennifer Lopez (to name a few!) are fans of the brand, which is widely distributed to over 70 countries. Yep...as the store’s slogan states, it’s time to “#reframeyourself” ASAP. 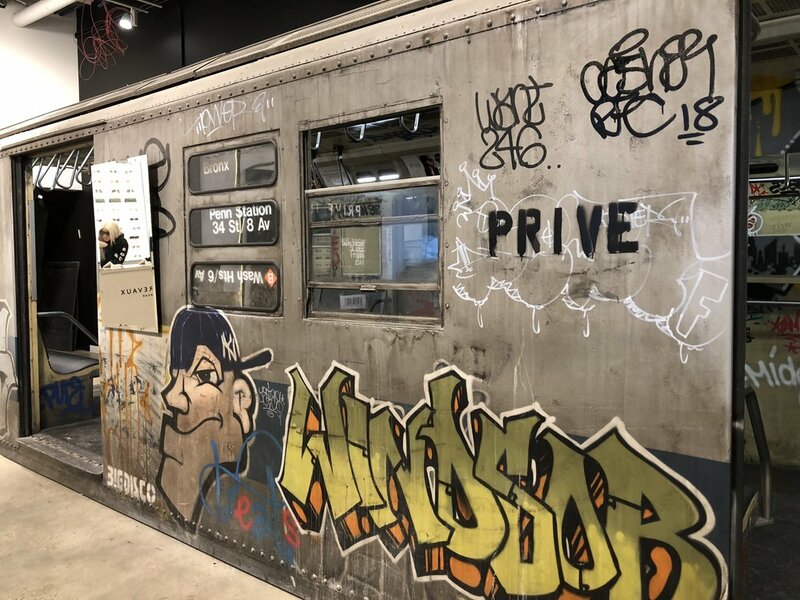 Visit Prive Revaux’s pop-up shop at 120 West 42nd Street in Times Square or check out their website to purchase your sunglasses today: https://priverevaux.com/womens-designer-sunglasses-and-eyeglasses.